26 years ago on the night of 19-20th January Soviet tanks rolled into Baku following growing unrest linked to Armenia’s rising claims over Nagorno-Karabakh. Over the ensuing days and months over 130 civilians were killed, 744 injured and hundreds more arrested according to the official commission set up to investigate the tragedy. During the course of events Baku had fallen under an information blockade and few inside or outside the city knew quite what had happened. Until, that is, one newspaper managed to break the silence... Visions of Azerbaijan went to meet its editor, Mazahir Suleymanzade. 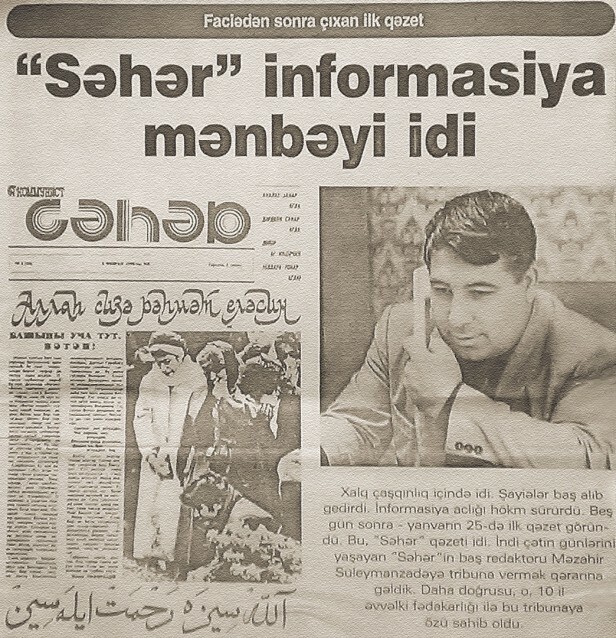 Mazahir Suleymanzade with the 20th January 1990 copy of Seher. More than any other calendar event Black January symbolizes Azerbaijan’s national trauma and struggle for independence. 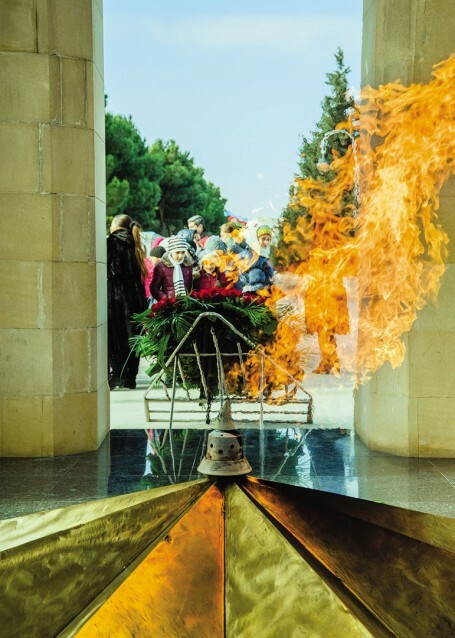 If you happen to be in Baku on 20th January the annual pilgrimage to Martyrs’ Alley is likely to leave a deep impression, as hundreds of thousands of Bakuvians make the solemn march from Baksovet to the hilltop park, accompanied by mournful mughams, to pay their respects to the victims of the Soviet crackdown from 19-20th January 1990. To give some idea of the tragedy’s scale a 1991 Human Rights Watch judged the violence inflicted by the Soviet military to be so out of proportion to the resistance offered by Azerbaidzhanis as to constitute an exercise in collective punishment. Events had been unfolding quickly in Baku throughout early and mid-January 1990. The Popular Front, a patriotic opposition movement campaigning for freedom and democracy, was rapidly gaining support and staging protests in response to Armenia’s increasingly aggressive claims over Nagorno- (Mountainous) Karabakh. Violence erupted following one such rally on 13th January in which dozens were killed over the next few days. Meanwhile, anticipating a Soviet response, the Popular Front was calling on its supporters to blockade Soviet military barracks as well as the main access routes into the city. On 19th January thousands of protesters returned to Freedom Square. The military or the KGB could have caused the explosion to create an impression of unrest that might appear to justify military intervention, wrote the 1991 Human Rights Watch report (Conflict in the Soviet Union: Black January in Azerbaidzhan), noting: a similar pattern of events took place in the Baltic Republics in January 1991. Mazahir Suleymanzade sits reflectively in his spacious apartment in the Narimanov district of Baku. 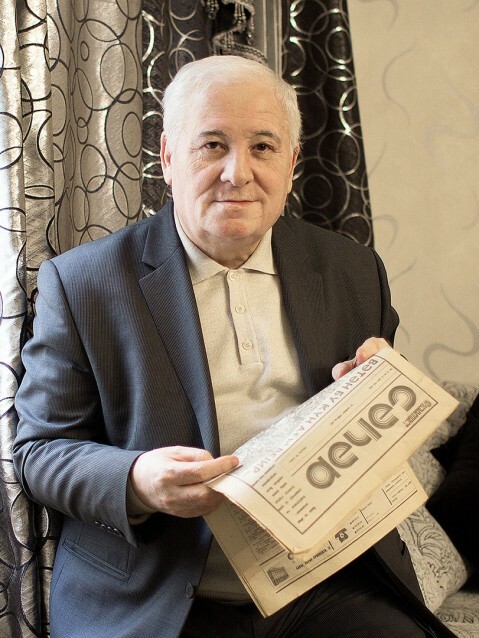 In front of him are the yellowing original copies of the special editions of Seher that broke the information blockade and revealed the full scale of the violence perpetrated by the Soviet military on 19-20th January and the ensuing days. It is these issues for which Seher (Morning), founded by Mazahir in 1989 and running until 2000, will be best remembered and the reason why we are here. 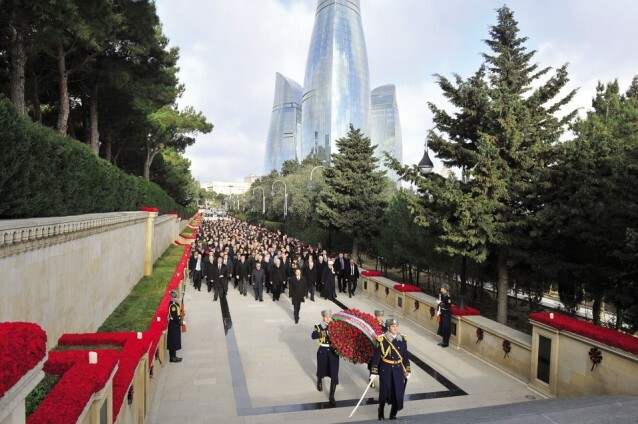 President Ilham Aliyev leads this year’s procession to commemorate the victims of Black January. I am both a victim and a witness, begins Mazahir, reflecting on what he describes as an unthinkable and disastrous thing. It’s far easier to examine what happened in retrospect but at the time nobody really knew what was happening on 20th January and the days that followed - neither television nor radio was broadcasting. Mazahir and his colleagues at Seher felt it was the duty of journalists to cover these events and tell the world, which was much easier said than done. The city was under lockdown and roamed by Soviet soldiers and tanks, which made it very dangerous to go outside and speak openly. The soldiers were ordered, Mazahir explains, to kill or be killed and to regard Baku residents as their enemy. But all this was terribly confusing, after all this was the USSR, of which Azerbaijan was also a part: This was our army, that’s why we never expected they would kill us. To add to the confusion, a curfew was imposed – you couldn’t just walk around and talk freely. And the Soviet state news agency ITAR TASS was publishing deflated figures of the dead and wounded. 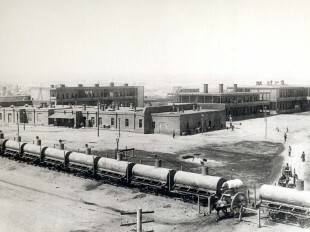 In fact, according to Mazahir, hundreds died and thousands were wounded. Seher was the first to publish the full list of victims on 3rd February, calculating the number of dead at about 140, but this is jumping slightly ahead. In the meantime the foreign press reacted by insisting the crackdown was an internal Soviet affair. The reality was different, says Mazahir. We decided to show the reality to the world. Victims of Black January are remembered each year on 20th January. So during 20th January and the days that followed, whilst Soviet troops still maintained control over Baku, Seher journalists clubbed together to work around the curfew and prepare the material. The first issue dedicated to the tragedy was published on 25th January 1990, with 11 pages of text and photographs showing clearly what happened. The large reportage spread on pages 2-3 was written collaboratively by 11 journalists but made to look as though it was the work of a single author. For the Soviet Army the evidence was highly incriminating but in order to be circulated widely the issue still had to be published with the military censor’s permission. So how did you get permission? I ask Mazahir. Some of them were really good, understanding people and they didn’t actually know what they did. They were given orders and they did this crime but they didn’t actually see the whole picture. After seeing all the pictures they realised and some of them were very understanding. Some of them knew our writers and artists, people like Muslim Magomayev, Rashid Behbudov and Tahir Salahov and some of them really tried to help us, explains Mazahir. The Eternal Flame in Martyrs’ Alley. But the pictures were still the main obstacle: what happened is reflected in the pictures. The military said that only a few people died and that they were extremists. But the photographs proved that the people who died were ordinary women and children. Indeed, the Soviet authorities had justified the clampdown in order to prevent an imminent power grab by the Popular Front and heavily armed extremists. They also claimed not to have used weapons against the people. The images proved otherwise. Along with permission from the Soviet military, the issue also had to wait for the victims’ burials to take place in Martyrs’ Alley before going to print. 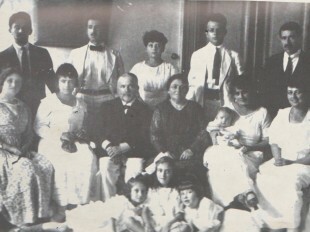 It was eventually published on 25th January and distributed around the country in two million copies, an astounding figure given that Azerbaijan’s population at the time was close to eight million. No other paper in Azerbaijani history had been published in that quantity. Publishing was the first difficulty, distributing was the second. The copies were loaded into 12 large lorries and driven to various points around the country where they were handed out for free. In some places they were pasted into windows to maximize the numbers of readers. In one such place, on Bulbul Avenue, the Soviet soldiers fired on the windows after readers had disobeyed orders to disperse. Hence the name for one of two books Mazahir subsequently wrote: The Executed Newspaper. They shot the newspaper as though it were my heart, says Mazahir. The 25th January issue was published in Turkey a day later and in Iran as well as Latvia, Estonia and Lithuania in subsequent months. It was translated into Arabic, Russian and English and became the go-to source for the BBC and CNN. … as if to say I’m the only communist left in Azerbaijan, why are you attacking me? Reflecting on Seher’s achievement Mazahir says: We fought with the pen – many other [publications – Ed.] didn’t manage to break the blockade. It was just our destiny, we tried and we did it. In the aftermath of the Soviet crackdown on Baku, public sentiment was twofold: The nation was weeping but also immensely proud of its heroes. By breaking the information blockade and revealing the true scale of events, Seher had actually managed to calm the public rather than fuel greater unrest. Exposing the atrocity, Mazahir believes, raised anti-Soviet rather than anti-Russian sentiment: even today there are lots of Russian schools, he says. In response to why the Soviet military might have acted the way it did, Mazahir explains that the USSR was about to collapse and people were rising up in Almaty (December 1986), Tbilisi (April 1989) and Vilnius (later, in January 1991). In this context, he believes, the crackdown in Baku from 19-20 January 1990 was meant to frighten the other Soviet republics. But the heavy-handed tactics had the opposite effect and instead marked the beginning of the end of Azerbaijan’s part in the USSR. 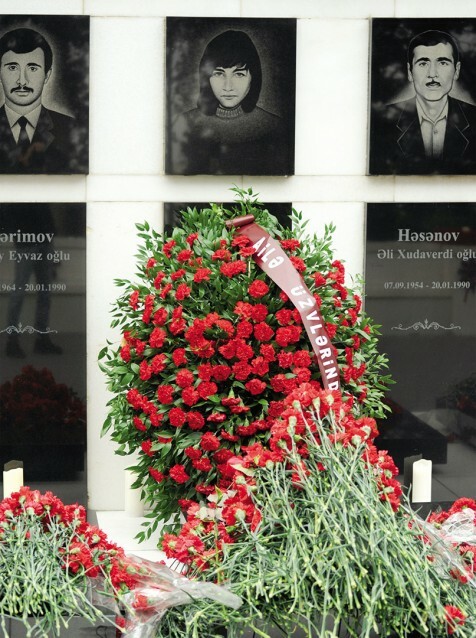 So what was the significance of Black January for Azerbaijan? 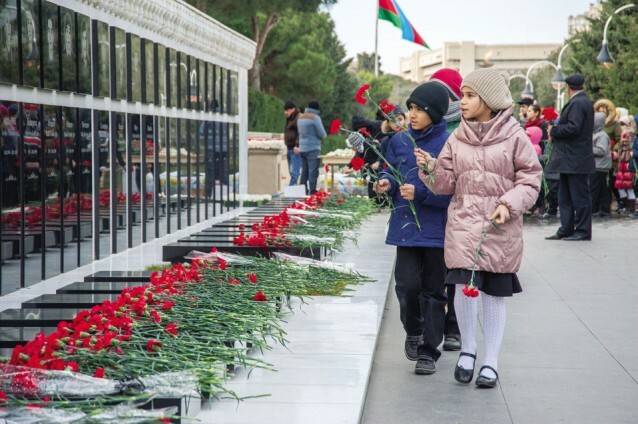 As a nation we proved ourselves, we proved to the world that the Azerbaijani nation exists and could fight for independence, says Mazahir, adding that unlike other events on the national calendar, Azerbaijanis participate in the annual commemoration of their own free will, without anyone forcing them, to express gratitude to the victims. Up in the hilltop park near Martyrs’ Alley in Soviet times stood an enormous statue of the Bolshevik leader Sergey Kirov gazing out over the Caspian. Today, says Mazahir, Azerbaijanis don’t look at Baku from the eyes of Kirov, but from the eyes of the 20th January victims. This is what we gained.